Sean Szymkowski December 28, 2017 Comment Now! It's car auction season, and the notable consignments keep rolling in. The latest big-ticket car? 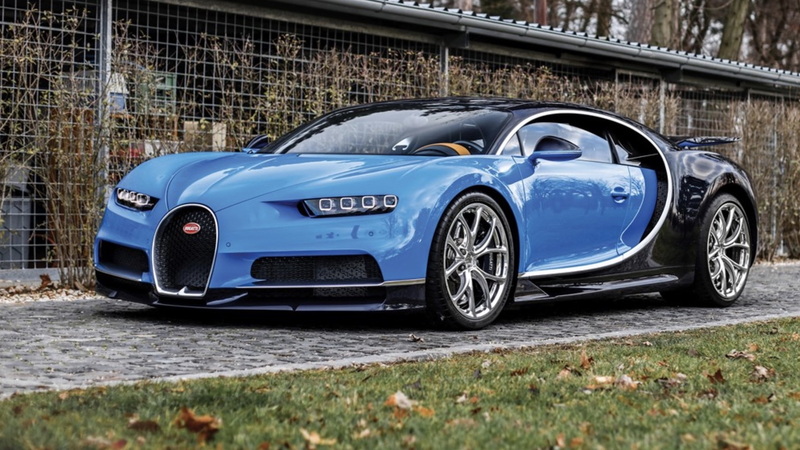 None other than a Bugatti Chiron, the French supercar that began deliveries this past March. RM Sotheby's will offer the supercar at its Paris, France, auction that kicks off on February 7, and we're warning you now, the sale estimates are eye-watering. Like all Chirons, this example features the famed 8.0-liter quad-turbocharged W-16 engine good for 1,480 horsepower and a 0-60 mph dash in under 2.5 seconds. 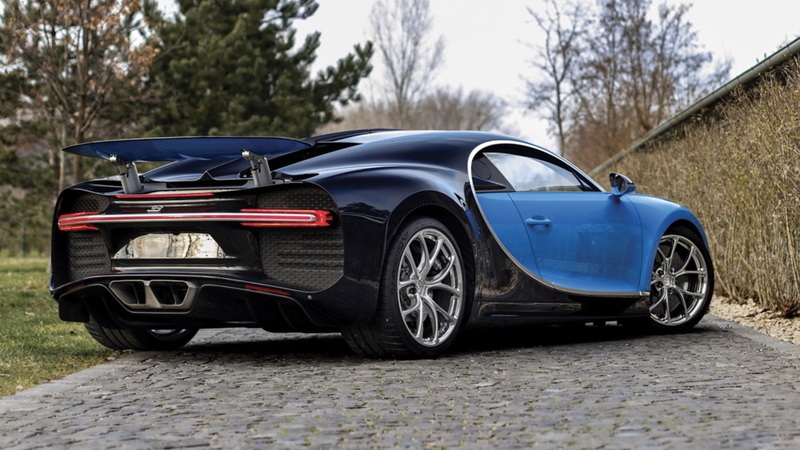 Currently, the car's top speed is limited to 261 mph because no tire can handle the Chiron's forces beyond that figure. However, as the consignment docket notes, special tires are supposedly in development to raise the top speed to an astounding 285 mph. This particular example wears a two-tone Atlantic Blue over French Racing Blue exterior theme with brown leather and contrast stitching inside. Delivered in April, it's one of the first 20 Chirons to make it into the hands of customers. The original owner spared no expense, however, and opted for the optional carbon-fiber steering wheel and Maritime Blue brake calipers. The original owner drove the supercar sparingly, too, with fewer than 620 miles on the odometer. This is as gently used as it gets. Gently used plus limited availability (only 70 have been delivered) equals big money. 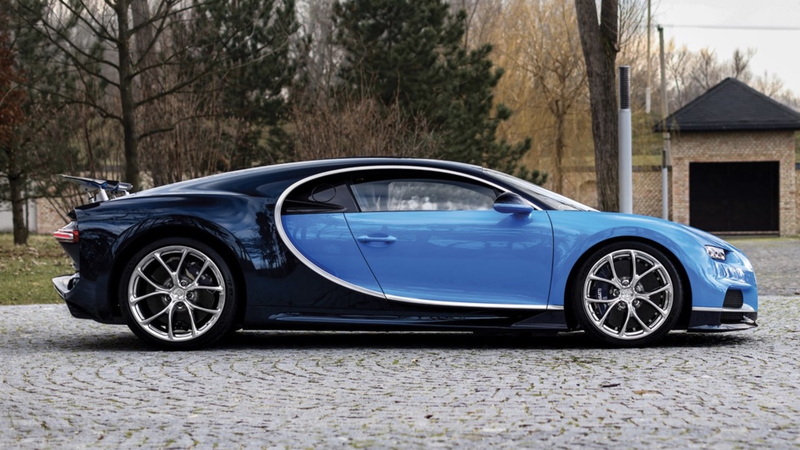 RM Sotheby's estimates the car will sell for around $3.8-$4.3 million. We'll watch it carefully as it goes under the hammer in less than two months.